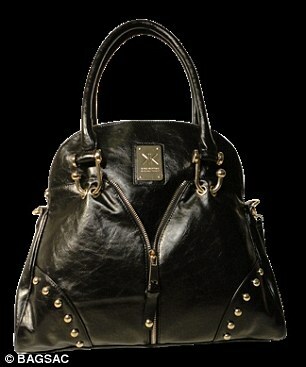 Thanks to the success of their reality show, the Kardashian sisters have no shortage of designer 'it' bags. 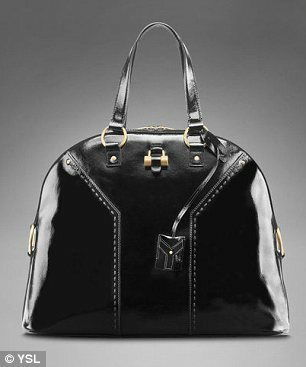 And it appears it was exactly these that has inspired a new limited-edition line of Kardashian Kollection bags to be sold exclusively in Australia. But keen-eyed fashion bloggers have pointed out that the Kim, Kourtney and Khloe seem to have been exercising a little too much creative licence. 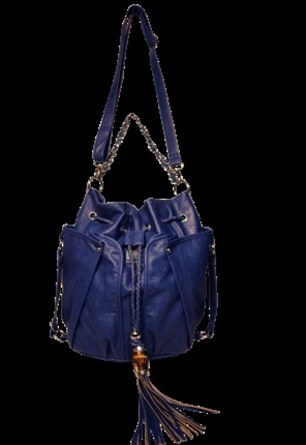 No less than eight designer bags appear to have cut-price 'tributes' in the Kardashian Kollection, which is sold exclusively at Sears in the U.S.
Must-haves from Yves Saint Laurent, Chanel and Alexander Wang all seem to have been part of the girls' inspiration. 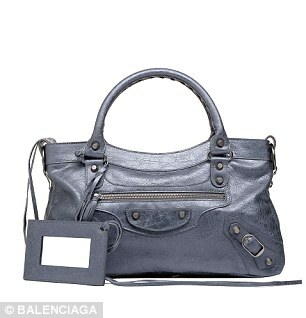 A Balenciaga-style bag pays the most faithful 'homage' - the shape, zips and hardware of the Kardashian Kollection bag are all uncannily similar to the much-loved designer original. 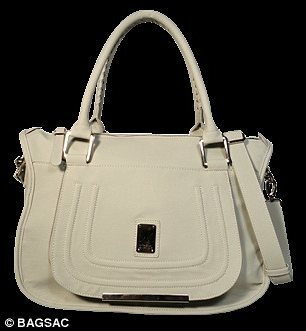 A cream top handle bag,too looks familiar. 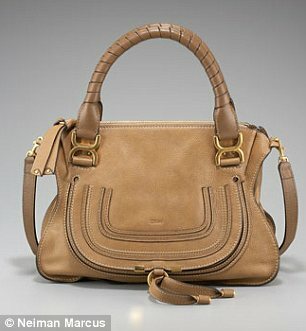 That is because it bears many of the same hallmarks as one of Chloe's most famous designs. Even a black-and-white woven satchel echoes the style of Proenza Schouler's much-imitated PS1 - a risk given that the designer duo very publicly accused Target of copying it earlier this year. Perhaps the sisters' inexperience in design means they cannot define between inspiration and copying. Indeed, they claim all the designs were their own, and not those of ghost designers. 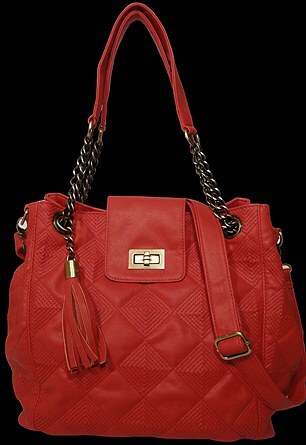 Khloe told PopSugar Australia: 'It's our collection. Me, Kourtney and Kim design the entire thing ourselves,' she said. But this is not the first time the Kardashian Kollection has been accused of taking too much inspiration from other designers. 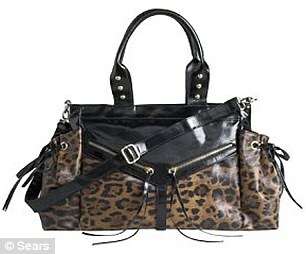 Monica Botkier sent a cease and desist letter to the retailer in August after being alerted to the similarities between her $600 Clyde design and a leopard-print bag, $94, from the sisters' debut line. She told how friends and loyal customers flooded her with emails after seeing images of the reality stars' designs in a MailOnline article earlier this month. She says that the Clyde has been a stalwart of her product line since she founded it in 2003, and fans of her brand recognise it on sight. 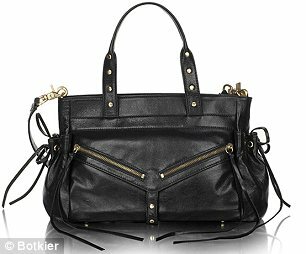 Sears Holdings Corp, which is the exclusive retailer of Kim, Kourtney and Khloe Kardashian’s designs, declined to comment on the issue, though the bag was not for sale on its website after Ms Botkier's complaint. Steven Kolb, CEO of the CFDA said: 'All designers deserve the right to design protection and only the creator of an original design should profit from that design.